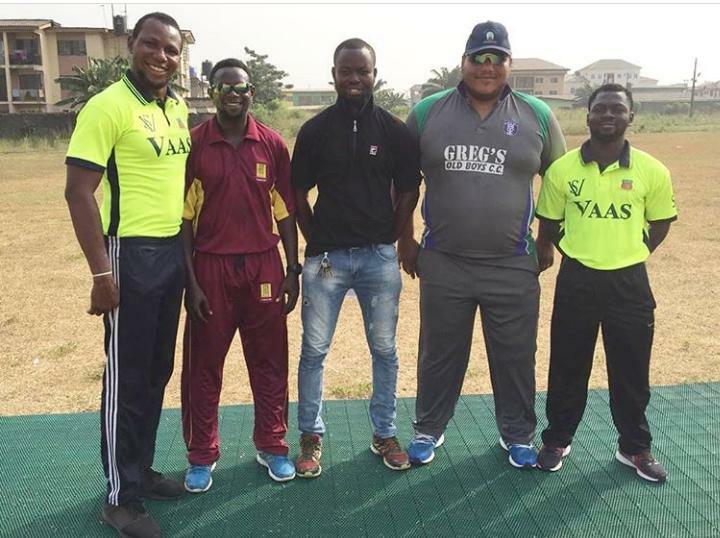 CCC League returns for the 2019 season with teams registering impressive victory on day 1 and 2. Newly promoted GCUOBA CC records first with in top flight as well. 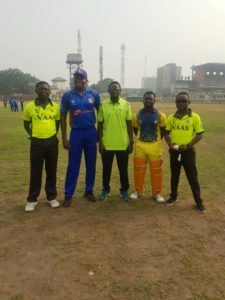 Ibeju Lekki won the toss and elected to bat first posting a total of 215 runs all out in 49 overs. Seye Olympio was in good form with the bat scoring with 63 runs not out off 75 balls with Oyede Leke 38 runs off 40 balls and Chima Akachukwu 32 runs off 48 ball contributed to the team’s total. 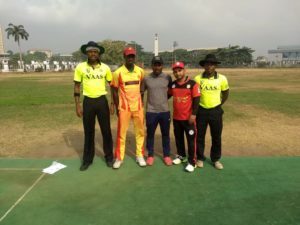 In the second innings Adeboro Seun’s 73 runs not out off 124 balls could not help his team reach the total put up in the first innings with GCI finishing on 156 runs all out in 50 overs. ST GREGORY’S OLD BOYS vs FCC. St Gregory’s old boys won the toss and elected to field first sending in FCC to bat. FCC scored a meager total of 90 runs all out in 28.4 overs. In the second innings, St Gregory Old boys chased down the score put up by FCC to record a total of 94 runs for the loss of 8 wickets in 26.5 overs. St Gregory won by 2 wickets. GCU won the toss and elected to bat Scoring a total of 307 runs for the loss of 5 wickets in 50 overs. In the second innings Cricket Lovers ended up on 98runs all out in 35.1overs. 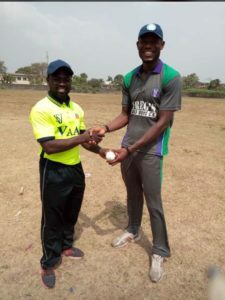 Ajekun Daniel was the man of the match with a brilliant 115 runs off 138 balls strongly supported by Captain Vincent Adewoye with 64 runs not out off 47 balls. 1 Reply to "Ajekun Daniels hits first Century in the season's opener of the 2019 CCC League Div.1"